It’s no surprise that leading scientists are alumni of Virginia’s Thomas Jefferson High School for Science and Technology, or that famous performers graduated from New York’s Julliard. So, we shouldn't be surprised that so many American leaders in business and government hail from Philips Exeter Academy, or St. Alban's, or Groton School. These schools are focused on creating the next generation of national leaders, and they do it very well. Award winning teacher John Taylor Gatto studied these schools and distilled fourteen principles they use to accomplish this goal. 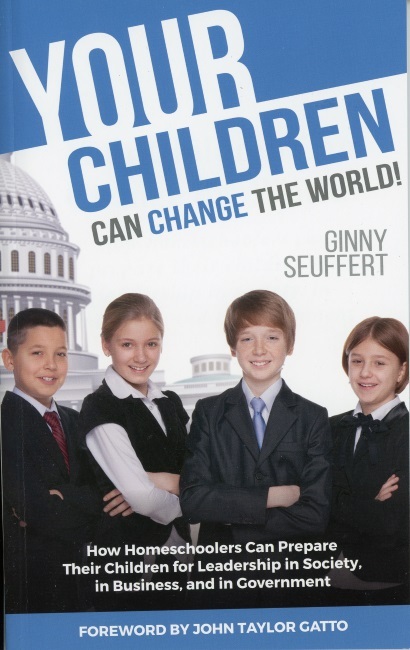 In this book, Ginny Seuffert shows how Catholic homeschoolers can apply these principles in their own families. The next generation of leaders in American society is being trained now—at Exeter, at St. Alban's, at Groton. And maybe at your kitchen table.